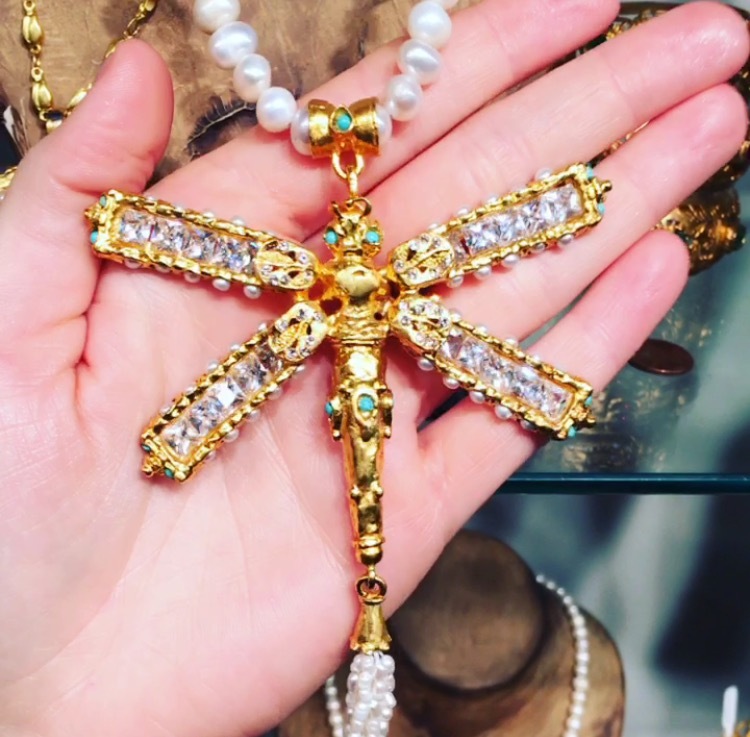 The lovely dragonfly appears in much of our jewelry, spreading its wings and drawing attention to its elegant and beautiful form. These exquisite insects have been around for all of our history, as fossils of large dragonflies have been found dating back 325 million years. 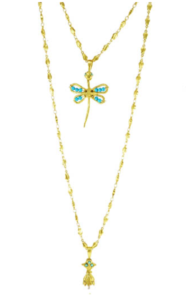 With such a long history, dragonflies have inherited rich symbolism and meaning in many cultures. Dragonflies are agile fliers, as they are able to fly in all six directions and catch prey while flying, and can grow to have 16cm wingspans and fly at speeds of 38mph. They are often found near water, and are known for their metallic colored bodies. Unlike many other insects and animals, the dragonfly can be found on every continent. 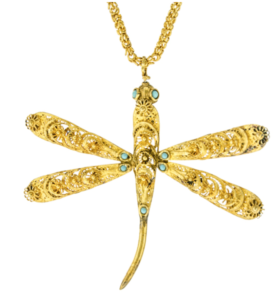 Throughout history, dragonflies have been used as motifs in poetry, pottery, and jewelry, symbolizing change, positivity, and strength. In almost every part of the world, the dragonfly symbolizes change, the ability to change both physically and mentally, and the ability to accept and embrace change. This idea stems from the dragonfly’s life cycle, as it undergoes a series of nymphal stages and an almost complete metamorphosis before it reaches it’s adult stage. 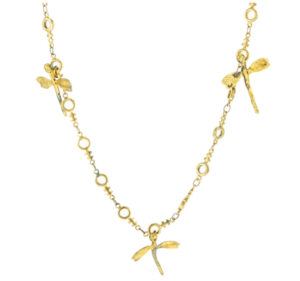 For many, the dragonfly spirit therefore inspires growth and change in our own lives. As athletic fliers, dragonflies have also come to symbolize power and poise, and serve as reminders that anything is possible. Their bold colors and agility make them a strong predator and among the strongest of insects. 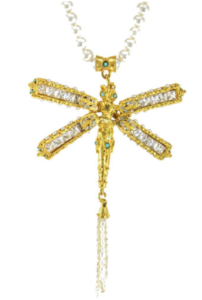 In Gypsy Handmade jewelry, the dragonfly is often embellished with turquoise, pearls, and cubic Zirconia, mimicking the dazzling colors of the insects themselves. 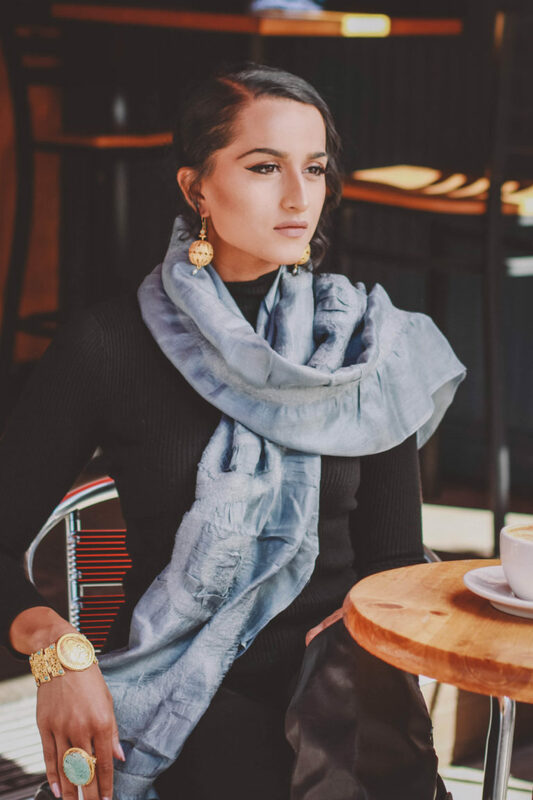 Drawing inspiration and meaning from its long history, we have reintroduced the dragonfly into modern jewelry fashion, and these pieces bringing life to every wearer’s style. 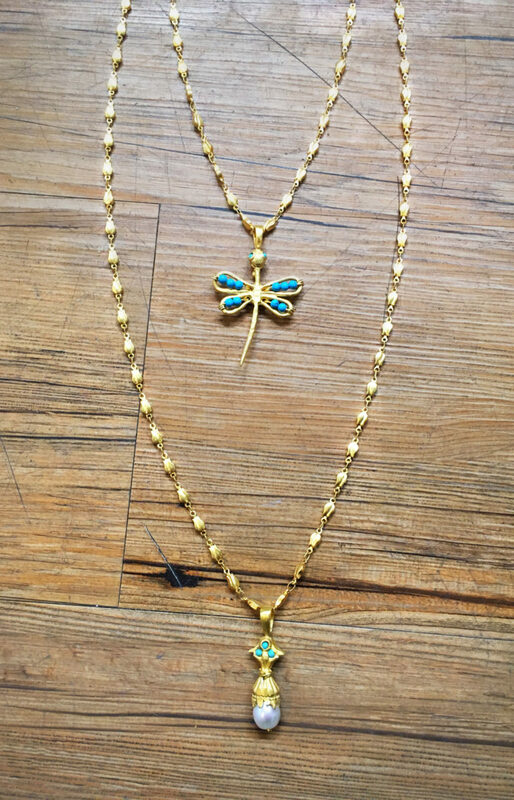 As the focal point of these pieces of jewelry, the dragonfly continues to embody the image of strength and confidence, making it the perfect motif for jewelry that makes a statement.